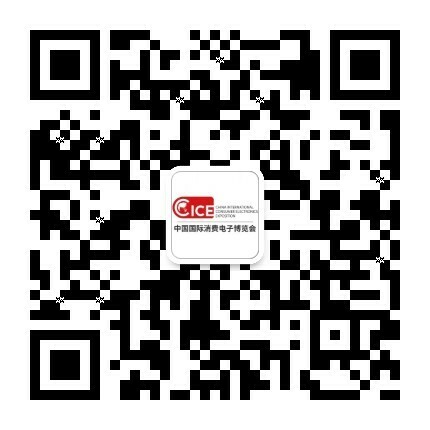 China International Consumer Electronics Show (SINOCES for short) is going to be hosted on 22-25, September, 2017 in Qingdao International Exhibition Centre. This show is hosted by Ministry of Commerce, Ministry of Science and Technology and People’s Provincial Government of Shandong, sponsored by Ministry of Industry and Information, in all of that, big data & cloud computing and smart city are undoubted the hot spots of this exhibition. President Xi has proposed to promote the implementation of e-government, building a new type of smart city as the starting point and the data concentration and sharing as a way to build a national integration of big data center. The 21st century Digital Silk Road, not only benefits the Chinese information infrastructure enterprises going out, but also brings a new round of development opportunities for big data & cloud computing, smart city and some industries in that nature. In order to assort the national initiative as well as boost development of big data & cloud computing, 2017SINOCES establishes big data &cloud computing ground, to attract well-known exhibitors at home and abroad, focusing on big data & cloud computing and traditional industry applications, a comprehensive display of big data + innovative applications and cross-border convergence. During the exhibition, a number of cooperation agencies will jointly hold many large-scale big data & cloud computing and relevant areas of professional summit forum, in-depth discussion of industry hot issues and the latest trends. Just in this month, Qingdao was awarded 2017 China's five-star city in big data development honorary title, becoming the only one for two consecutive years on the list of the city. Industrial transformation and innovation is one of the key projects for the development of big data in Qingdao. It is committed to perfecting the big data industry chain and realizing the various development of big data industry, forming a good environment for resource sharing, talent interaction and linkage development and promoting public entrepreneurship and innovation. 2017SINOCES specializes in the introduction of open resources to integrate the incubation platform and capital institutions, through the creation of interactive sharing of intelligent ecological circle, docking industry upstream and downstream resources, give impetus to related projects and products incubation landing, to promote big data & cloud computing industry innovation and entrepreneurship. Speaking of big data, there is another related hot industry has to mention - the smart city. The smart city is a high civilized form of urban model. There are a lot of people lost in the concept of smart and intelligent-- intelligent is the urban space management automation, digitizing and informatization, and smart means all intelligent technology, people and society integration and a combination of hardware and software. 2017SINOCES themed by "smart + benefiting the world”, to show the latest wisdom of the industry shape, accelerate the marketization, so that the smart achievements could be faster and better benefiting the public life. At the scene, the well-known enterprises Haier, Hisense, Jingdong, Inspur, Baidu, 360, Goertek, Aucma, Xinzhongan will show the latest ecological layout of the Internet, such as the Internet factory, the smart family, the smart city and other areas; the relevant grounds will show the latest products from company of Chuntong Technology and Fangweiweisheng in the field of intelligent security as a part of smart city. In addition, the exhibition also brings together a number of overseas buyers, foreign businessmen, experts and industry leaders, being expected to have more than 70,000 people gathered, to build one-stop exchange of docking and brand promotion platform for big data & cloud computing and smart city. Aimed to supply platforms for public by organizing the exhibition, the 16th China International Consumer Electronics Show will interconnect exhibitors of the data information, industrial manufacturing and upstream and downstream resources to provide for the consumer electronics industry giants with a chance to show their skills. 2017 SINOCES is about to be a multi-intelligent electronic feast to create the most fascinating technology in September.